The Antelope Valley Soaring Club (AVSC) was established in 1955 and was based at the world famous El Mirage Soaring site. The Club flew there for many years, until it closed in the late 80's. We are now based just four miles away from El Mirage and the lake bed. 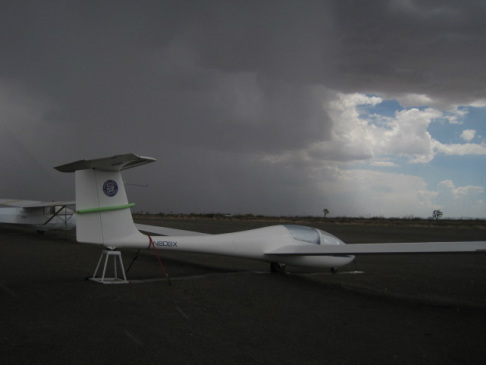 The Antelope Valley Soaring Club is a chapter member of the Soaring Society of America. We are a non-profit organization. Our mission statement is to promote and encourage the art of motorless flight in the Antelope Valley, in Southern California. ﻿﻿ We are about a 90 minute drive from most of Los Angeles and the Inland Empire cities. 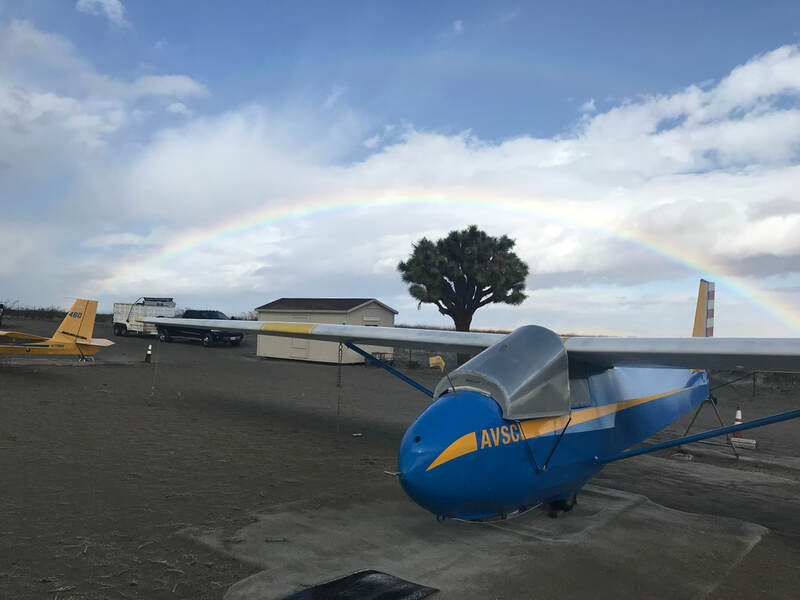 If you are looking for a well established, quality soaring club with excellent flying conditions, and 'plane' good times at a reasonable cost, come join us at the AVSC. We are currently open to new members of all types (students, pilots, and more). Tow pilots and Instructors are especially encouraged to contact us. Please use the contact button above for any club officer. April 6 is Club Meeting day. Board meets at 9:30am, general members at 10:30. Flying will commence following the meeting. ​​The wildflowers are beautiful now. Bring friends for guest rides to show them the beauty of soaring without squashing the flowers.